A/C Duct Design Calculation Services > News > Save & Learn! > 3 Reasons why should get your A/C properly installed. When hiring an HVAC Contractor, make sure you verify your installation is ENERGY STAR verified. And here is why? A poorly designed HVAC design or an Heating and cooling system not properly sized will cause your equipment to cycle on and off more often. Which will result on higher electricity bills and a shorter life span for your Air Conditioning System. 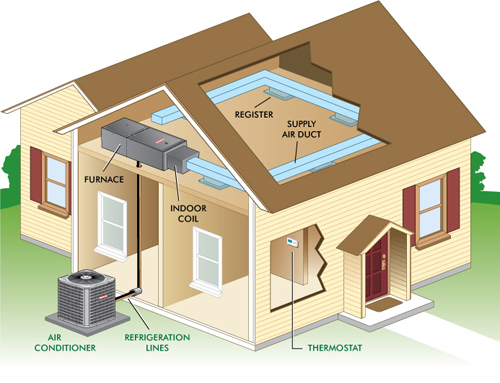 ENERGY STAR certified Air Conditioning and Heating systems have been specially designed to heat or cool your space with the minimum effort possible. A properly installed Energy Star certified Air Conditioning and Heating system provides the perfect indoor conditions that make a pleasurable room to stay in. The right temperatures, controlled humidity, lower noise, and less dust, your family will appreciate. Getting the right Air Conditioning System, hiring the right contractor and making sure your HVAC design is done properly before installation can pay off with savings that will last for years.